The Salem Academy and College Archives is responsible for acquiring, managing, preserving and making accessible to the community as an educational resource, institutional materials and records of permanent historical value pertaining to the Academy and College. 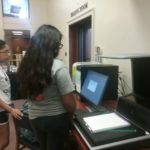 The Archives collects administrative and fiscal records, manuscripts, photographs, maps, architectural plans, scrapbooks, and letters from presidents, academic departments, student organizations, faculty, students and alumnae that help document and illustrate the history, programs, events and goals of the institution. The Archives are located in Gramley Library and staffed on a part-time basis so please contact us for an appointment. As is the case with most archives, access to the Salem materials depends upon the researcher’s ability to describe as precisely as possible the question being pursued. Unlike the library’s circulating collections, the materials in the archives are neither fully cataloged nor organized for patron browsing or ready access, therefore we can best serve you if you contact us via email. 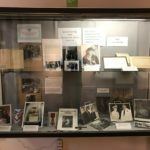 Hattie Strong Collection – The Hattie Strong Collection includes correspondence, diaries, scrapbooks, and photographs. 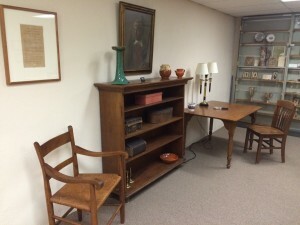 Many items were donated by the Hattie M. Strong Foundation while others were already in Salem’s collection. Emma Lehman Collection – The Emma Lehman Collection includes her history writings, lecture notes, poems, correspondences and scrapbooks. The highlight of the collection is her herbarium of North Carolina plants, including the plant discovered and named after her: Monotropsis lehmanii. Alumnae Newsletters – Alumnae newsletters starting in 1878. Salem Female Academy Ledger – View the oldest general ledger in our Archives; we use the ledgers to verify attendance at the Girl’s Boarding School or Salem Female Academy. Please email archives@salem.edu for assistance. Members of the library staff prepare and utilize a variety of in-house finding aids, and they shelve the materials according to current preservation practices. 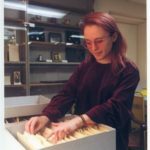 As is the case with most archives, access to the Salem materials depends on the researcher’s ability to describe as precisely as possible the question being pursued. Authorized staff members use this information to identify and retrieve relevant material, deliver it to a designated area for supervised examination by the researcher, and (if appropriate) make any necessary copies. Because this process requires substantial amounts of library time, it is important for would-be archival researchers first to have conducted preliminary research on their topics using available resources. This collection features correspondence, diaries, scrapbooks, and photographs from the Hattie M. Strong Foundation and Salem College. Julia Jennings, class of 2019, worked on the arrangement and archival descriptions of the collection for a service learning project in Spring 2018 .